With the craziness of Bonifacio Global City’s development, it’s no surprise that great places to eat come along too. People often find themselves going to the places everyone else does like Bonifacio High Street, Serendra, and Burgos Circle, never getting the chance to explore those places nestled in buildings elsewhere. 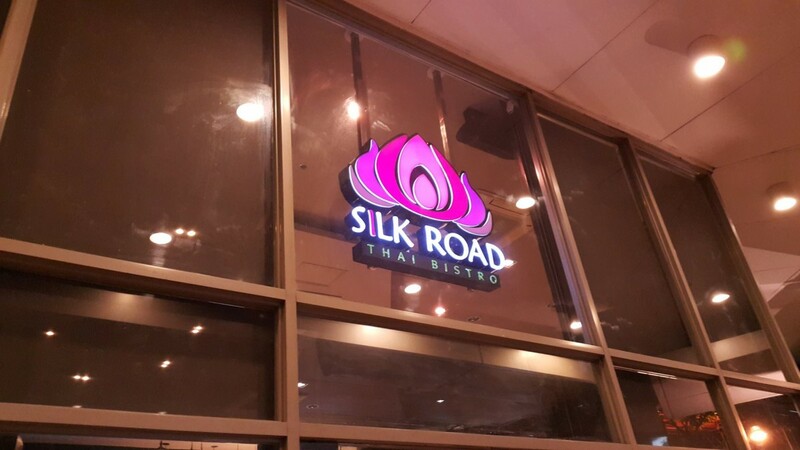 Silk Road happens to be one of those places, and it’s a shame because it definitely has some great Thai food to offer. Since it’s off the beaten track, word of it hasn’t gotten around much, at least maybe not to those who live outside of the BGC-Makati area. 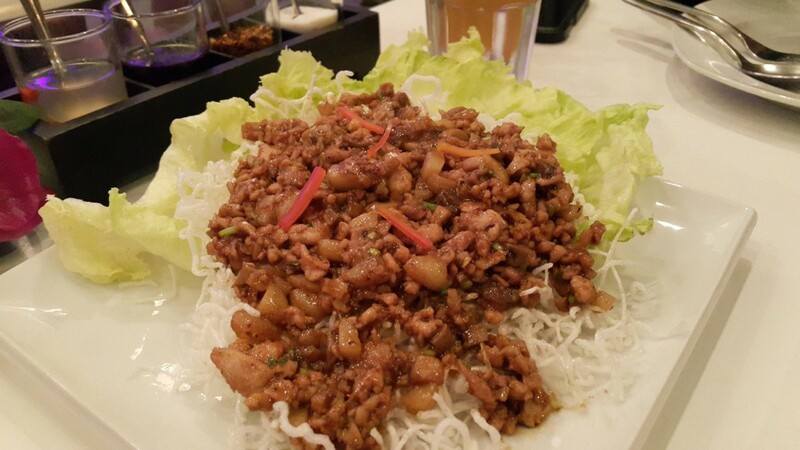 Silk Road has high-class resto-bar feel, and while pricey, their food is nothing to scoff at. The dishes were presented very well, sizeable enough for two to three people, and had incredible flavor. We ordered a packaged meal with Tom Yum Kung soup, Siam Chicken Wrap, Kaffir Garlic Rice, Crispy Tilapia with Tamarind Puree, Chicken Satay, and Takhoo Thai. For good measure, also ordered some Pad Thai. The Tom Yum Kung soup was right on point. Worry not, spicy food haters; at the moment you order, you’ll be asked how spicy you want it to be. We asked for the normal amount of spicyness, and even then it wasn’t very spicy. 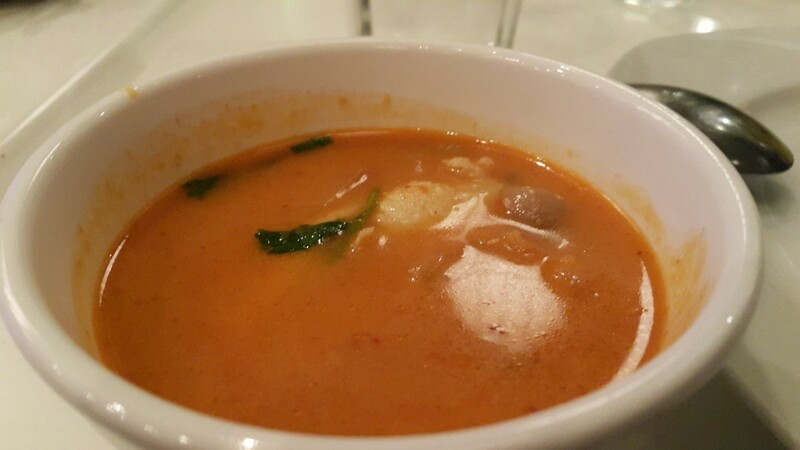 The flavors mixed well, making it one of the best Tom Yum soups I’ve had in Manila. The Siam Chicken Wrap was also very good. The flavors harmonized well, working together to create a great dish. It’s great, but not being the highlight of the meal. The only thing I can say about their Chicken Satay is that the serving was quite small, but maybe because I just wanted more after trying it. There were six small sticks, enough to let everyone enjoy but still crave for more once it’s all gone. The chicken was cooked exactly the way it should be and the two sauces they serve it with really brought out all the flavors. Of course there was the classic peanut sauce, as well as a vinegar-based sauce that added much flavor and a good kick. 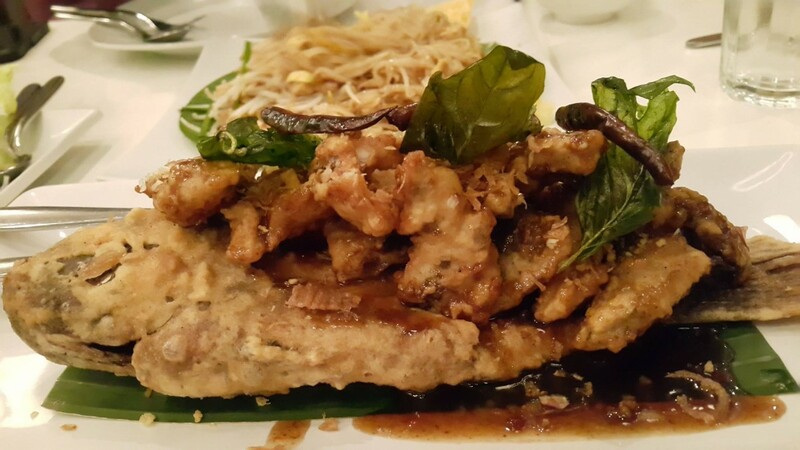 Their Crispy Tilapia is the definite must-try dish. It went well with the Garlic Rice. According to the manager, this is a dish people really came back for. It’s got texture from the crispy skin, perfectly cooked meat, and it’s covered in breading that just absorbs all of that Tamarind goodness so you’ll enjoy every bite. 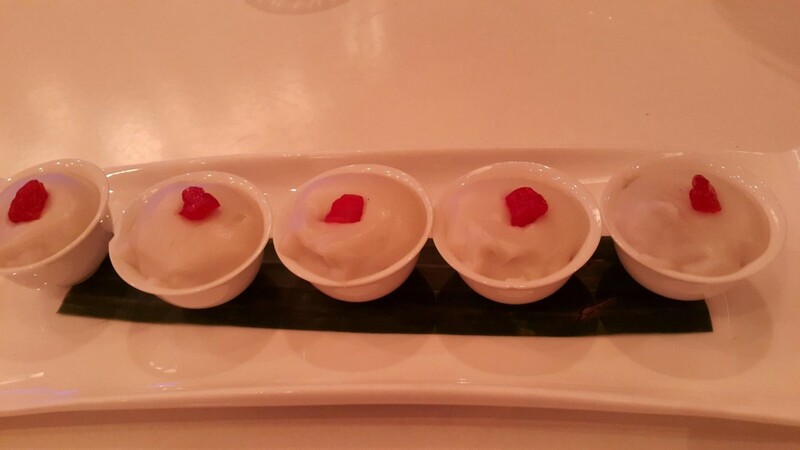 For dessert, we got the Takhoo Thai, a tapioca dish covered in warm coconut custard. 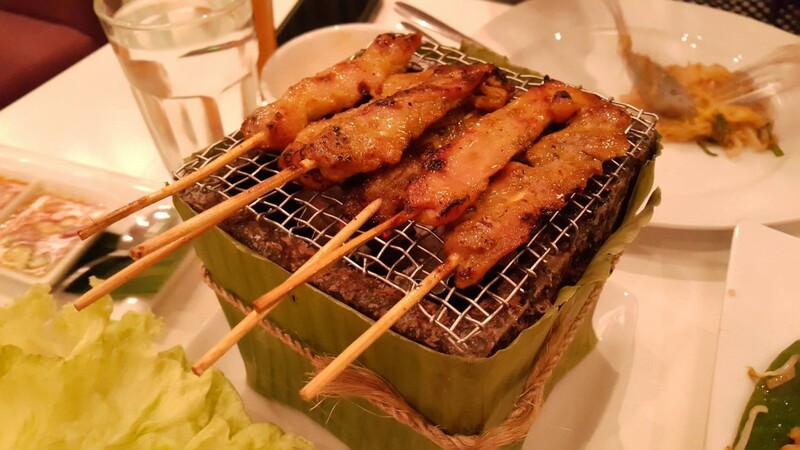 It’s not much to look at, and as with the satay the serving size isn’t great, but it’s a good way to cleanse your palette at the end of the meal. Six small cups of this just isn’t enough but by the time this is served, you’d be full enough already from all of the incredible Thai food you’ve had. 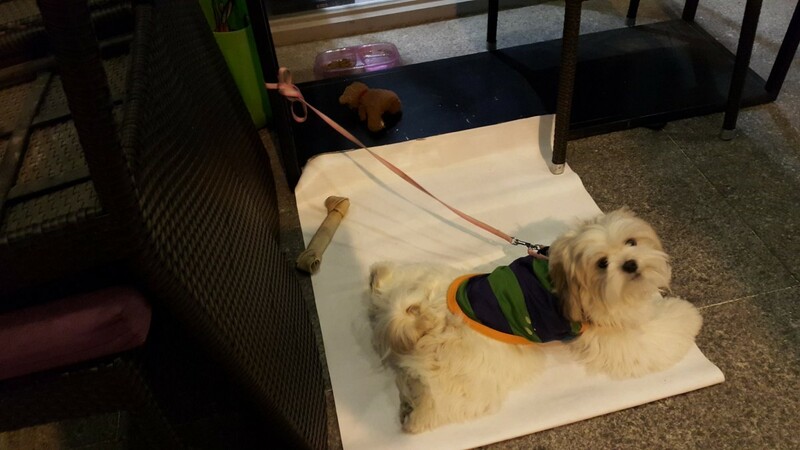 Plus, they had a cute dog leashed right under the menu stand outside their doors that night. Daily life for this one consists of teaching and learning from little kids, and working out. The rest of the year is spent eating, sleeping, travelling, trying new things, and being an all-around geek. If food's what you're into, we should talk. ← It’s official! Spider-Man joins the Marvel Cinematic Universe! It’s official! Spider-Man joins the Marvel Cinematic Universe!